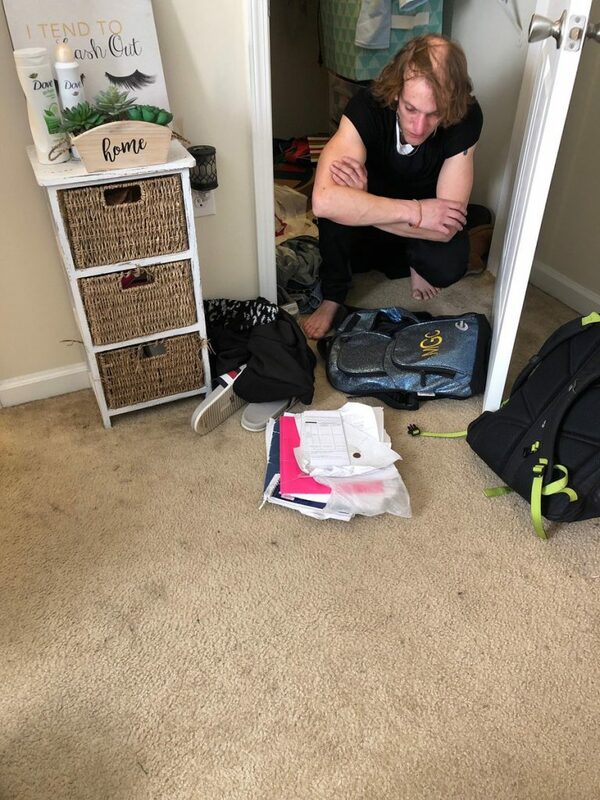 Maddie, one of the student at the University of North Carolina, in the American town of Greensboro, found a thirty-year-old man in her wardrobe last Saturday, after she had suspected for some time that something was not right in the apartment. The man might have broken into and locked himself up in the closet for unknown time. Striking detail: when he was discovered, he also had her clothes on. Student Maddie thought it was haunting her flat at the university. She told Fox 8 that she had noticed that garments had regularly disappeared, such as t-shirts or pants, and there were suddenly handprints on the wall of the bathroom. Rendered Maddie opened the door to the wardrobe and saw an unknown man standing. To top it all off, ‘Drew’ had also completely dressed in her clothes, including socks and shoes. “And he had a bookbag full of my clothes,” Maddie said. When the friend arrived in the apartment, the burglar fled. He was arrested at a gas station by the police, who identified him as the thirty-year-old Andrew Swofford. He is currently in prison for fourteen charges, including identity theft and burglary. Maddie thinks the man broke into her apartment several times, which could explain the mystery of the missing clothes. In December, she and her flatmate were already victims of a burglary. The students then discovered two men standing in their living room. After that incident, the locks were changed, but that apparently did not stop the unwanted visitor. The student says she now plans to move.